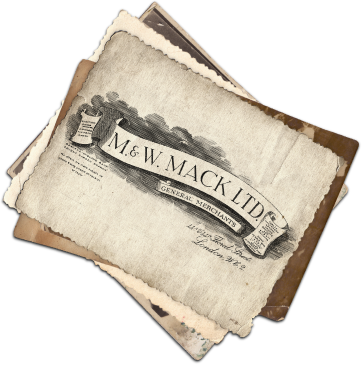 Since 1874, Mack has brought the very finest quality fruit and vegetables to discerning customers. Matthew Mack laid our foundations on his stand at Covent Garden market, building his reputation for speed of service, for being trustworthy and reliable, and for being totally uncompromising about quality. Today, Matthew’s great grandson leads the company. It’s considerably larger now, but Matthew’s philosophy and values remain at our heart. When you buy from Mack, you work with a company that cares about its products and its service. The fruit, vegetables and flowers we sell come with our seal of approval, offering both quality and value – sourced from growers who share our outlook. Now working from purpose-built, new premises at Witton, near Villa Park. The Mack Birmingham branch has a core offer every day for customers to browse and trade. We're happy to procure to order and deliver within a wide radius to make the most efficient use of time and resource. A fixture at the wholesale market near Temple Meads for many years, Mack Bristol is still the 'go to' place for people looking for quality products from a reliable, friendly team. Fruit, vegetables and flowers all delivered across the South West and into Wales. Working from modern, purpose-built facilities on the Nursling Industrial Estate, this branch offers a broad range of services. Fresh produce customers are welcome to browse and buy, we also serve cruise ships and airline customers from this site. Mack Wholesale is part of the Fresca Group Limited. Visit the Fresca website to learn more about our history and our sister companies.